Blogging is a relatively new thing on the internet, at least in the form it has today. It has always been used to share information and to discuss it, all directly done on that specific blog. In the beginning, it was a very simple and unimportant thing – a guy creates a blog and writes on it and has a few readers and even less of those who actually participate in it a bit. But in the last few years, the system developed a lot in every possible way, especially in popularity. That’s why today you have a system like Twitter which incorporates blogs into a whole social network. The popularity of blogs can easily be seen in the fact that you can rarely find a person familiar with the whole internet “thing”, who hasn’t at least heard about Twitter or blogs in general. As with everything developed on the internet, tools have to be made for blogs as well. Tools which enable you to do whatever you need to do, blog-related – tools which are used only for that specific thing. To make it more understandable, specialization is an important thing with internet tools. Besides that, as it goes with most things which are connected to the WWW, a sort of monopoly had to be made with this as well. Google for search engines, Microsoft Office for documents, WordPress for blogs. 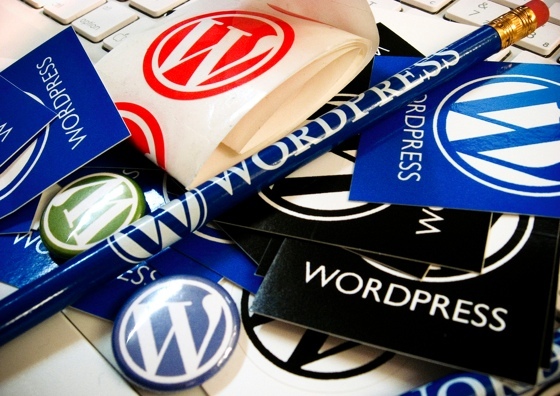 Yes, WordPress has a sort of monopoly among the blogging systems, as it is definitely the most popular CMS used for blogs. Everyone who owns a blog wants to have a unique one as well, because everyone wants it to be popular, and it definitely won’t be popular if it doesn’t stick out. That is why you need to worry about the visuals as well. An average user doesn’t really read much, or doesn’t want to read everything he finds on the internet until you give him something which will attract him (or her) enough to make him want to read the actual text. And with a good theme, you certainly will attract a lot of people to your blog. It’s always a problem to find the one that will suit you best and which is visually pleasing as well. I can’t really help you to find a theme which will make your blog more popular, no one can help you with that, but I can certainly give you some directions and suggestions, according to my own and some other peoples’ tastes. When it comes to good, quality WordPress themes, you should certainly search for them on several places on the Web. For a reasonable price, you can get something which will certainly suit your needs and serve you well for a long time. But, you mustn’t hurry into it. There are several things you need to worry about when searching for a good theme. It cannot only be visually pleasing, it can easily happen that a theme looks great but has nothing and doesn’t even work the way it should! 4. Not Every Theme Is A Good Theme! You need to worry about the layout of the main page, you need to be able to move most of the things which need to be moved (header, footer, sidebar, etc) to where you want them to move. This is important because you will certainly want to change this in the future – you can’t have the same looking blog forever! There are also things which don’t seem to be important because you would think that these things are implied. But it happens from time to time that they are not. This is why you need to make sure that your theme has a search box for example. Then you have to make sure that it can be used on most browsers or at least the one ones which are the most popular. Then, you should also think about widgets, since some themes don’t support widgets, but this is not of the outmost importance, only if you want to have widgets. You also need to worry about pages, as some themes can’t have the number of pages you want it to have. It can easily happen that some pages will be completely lost only because the theme doesn’t support that number. So you should worry about that as well. You should also check that the theme is mobile friendly, as not all are. There are other things that you should worry about as well, plenty of them, but we don’t need to mention these. The things you already read will certainly be enough for you, only if you are very serious about this, should you check everything possible. But in most cases, this will be more than enough.